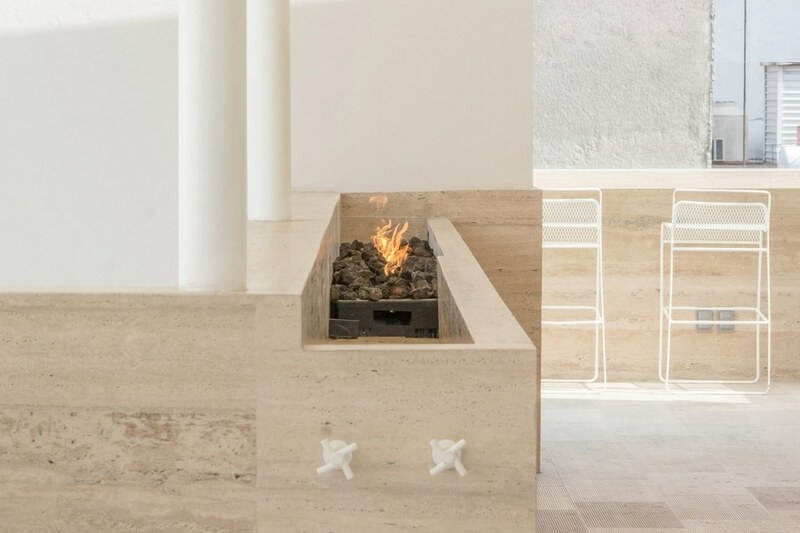 Guests at this hotel in Mexico City, designed by local architect Regina Galvanduque, can bathe in rooftop jacuzzis, drink tea on tatami mats or find zen in its courtyard garden. 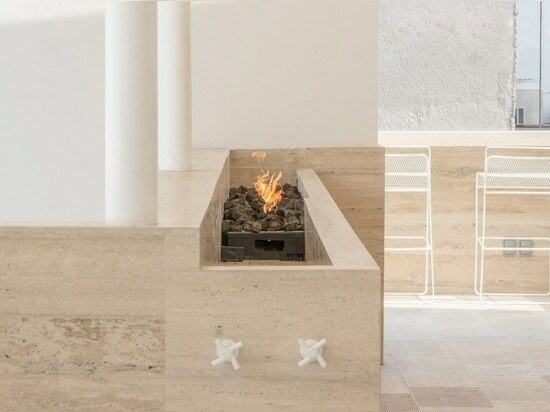 Galvanduque, who runs GLVDK Studio, designed the Ryo Kan hotel for slender plot on Rio Panuco in the city's Cuauhtémoc neighbourhood. The surrounding area has become known as Little Tokyo, making it particularly apt for the hotel, which is intended as a fusion of "Japanese and Mexican identity and values". The hotel is named after "ryokan" – a traditional Japanese inn – and follows the country's hospitality approach as Omotenashi. As a result, many features of Galvanduque's design take cues from Japanese culture, liked the striated white facade of the building based on origami paper folds. 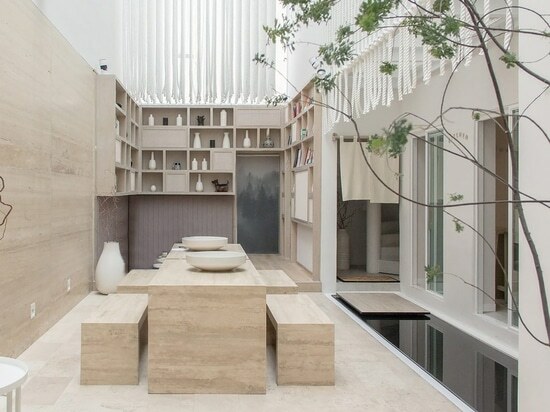 Accommodation is arranged around a slender courtyard outfitted like a Japanese garden. A glazed roof tops the space to provide plenty of natural light to stone benches and tables, where guests can enjoy breakfast, read or spend time working. A small pool of water is positioned in front of an adjoining glazed kitchen, where Ryo Kan employees prepare food and drinks. Japanese tea is available on request throughout the day. Monochrome terrazzo that covers nearly all of the kitchen is one of the materials that Galvanduque sourced from Mexico, and peppered throughout the hotel. Others include a gauze made of bejuco vine, which fronts the wooden bookshelves of the sunken library at the rear of the yard. 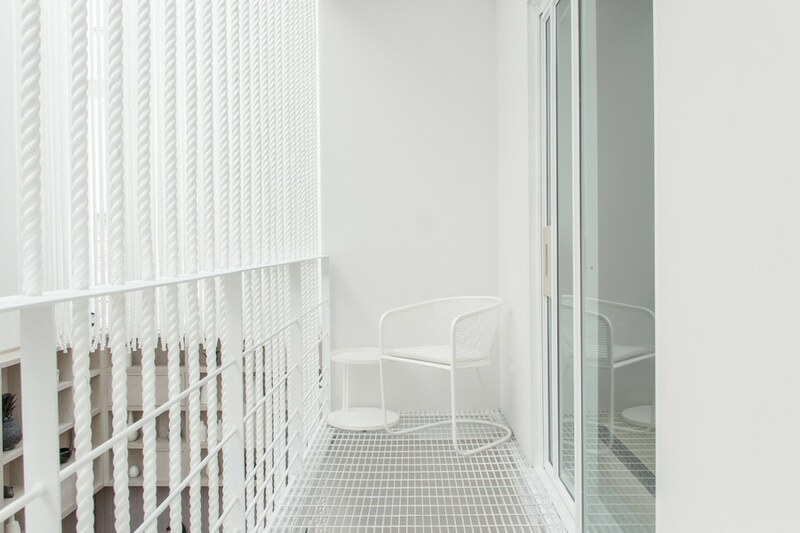 Soft-cushioned benches surround the reading nook, while thick strands of white rope hang above to filter light. Matching screens also run along the bedroom terraces that face into the yard. Although slightly different in size and arrangement to suit varying needs, each is designed to be compact and open-plan, with similar furnishings. 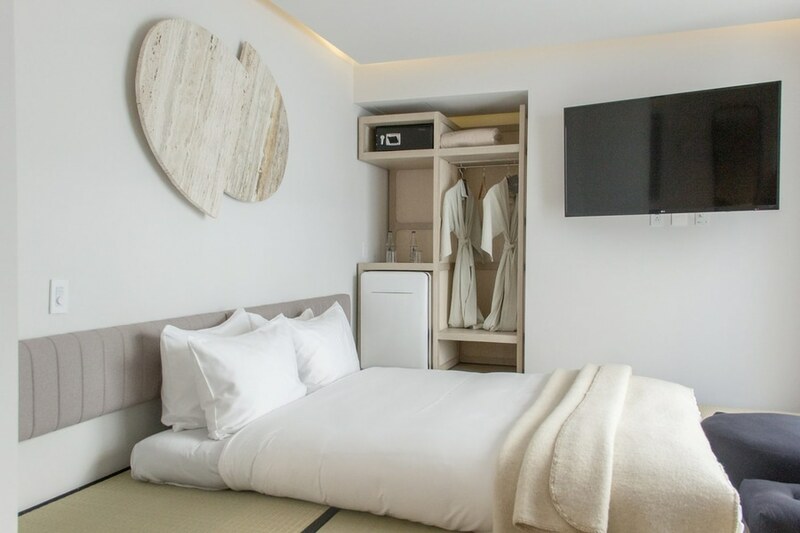 These include a freestanding, wooden double bed with a bejuco headboard, sliding oak doors, and terrazzo bathrooms featuring toiletries specially made for the hotel. The rooms are fitted with home-automation systems so that guests can operate lights, blinds, music and the television through an app. 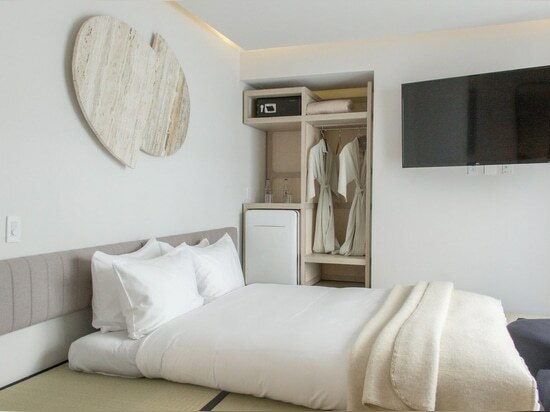 Larger suites also have an area with tatami mats sourced from Japan and floor cushions, to conduct a traditional Japanese tea ceremony. The bedrooms with balconies onto the yard are paired up for families to use together, connected via the outdoor decks. 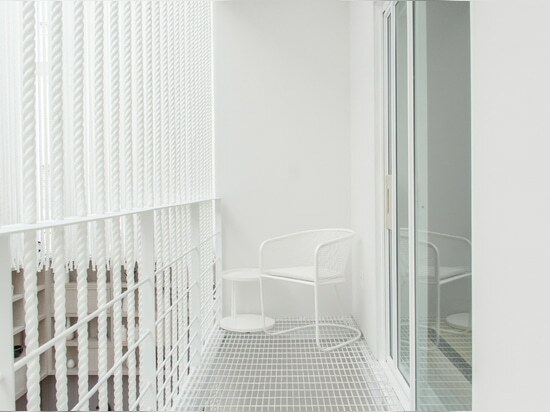 Another design-focused accommodation option in the Cuauhtemoc neighbourhood is recently renovated Hotel Carlota, located just a few blocks away. 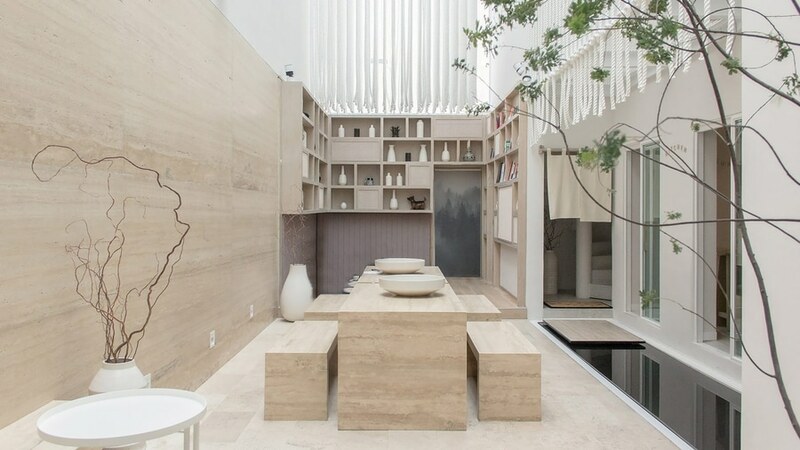 Set just off the Paseo de Reforma thoroughfare, both are popular choices for visitors to the city's Design Week Mexico. This year's event, which runs from 10 to 14 October 2018, includes exhibitions from local studios Davidpompa and Esrawe.